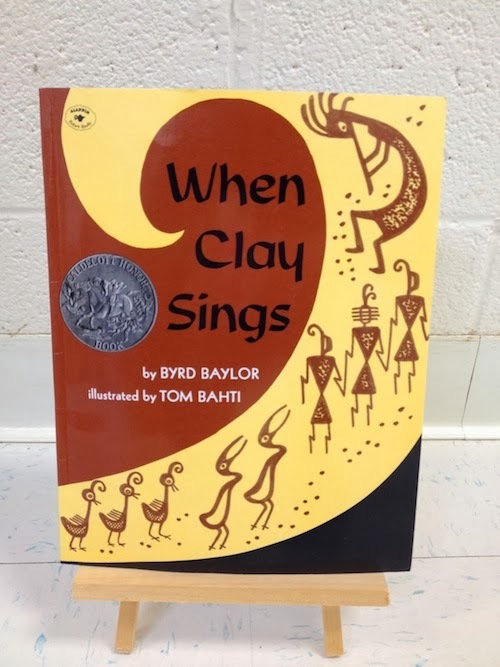 This art activity began with students listening to the book When Clay Sings by Byrd Baylor. Baylor invites us to think about the "small voice" that each piece of clay might have and what it might say. Students then learned to make small coil bowls in the tradition of the ancient potters from the American Southwest. The bowls were bisque fired in the kiln and then fired a second time in a sawdust kiln to give the bowls a smoky coloring. Amelia Shull and the Upper School Portfolio class imagined then created a large scale installation at the entrance of the gym for the Martin Luther King, Jr celebration this Monday, January 20th. Upper School art students volunteered to come to all units of the school to include everyone's voices, including River Class children. 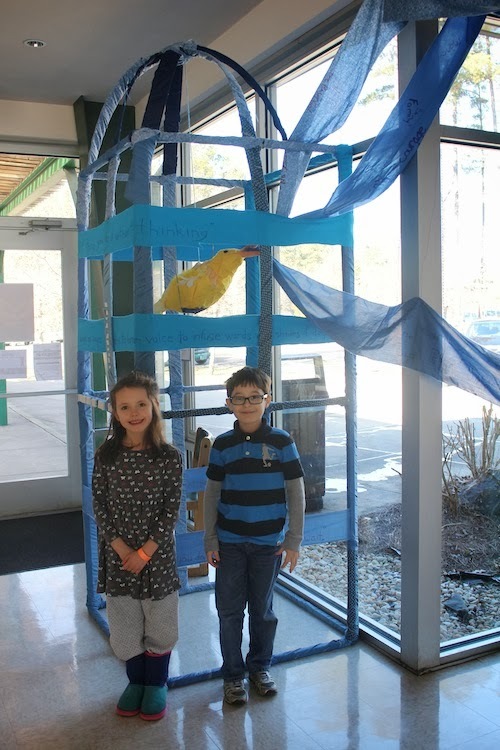 The installation was inspired by quotes from Maya Angelou's I Know Why the Caged Bird Sings and included a fiber arts based 10 foot birdcage with a bird singing out the cares of the students. River students answered the question, "What do you care so much about that you'd stand up for?" 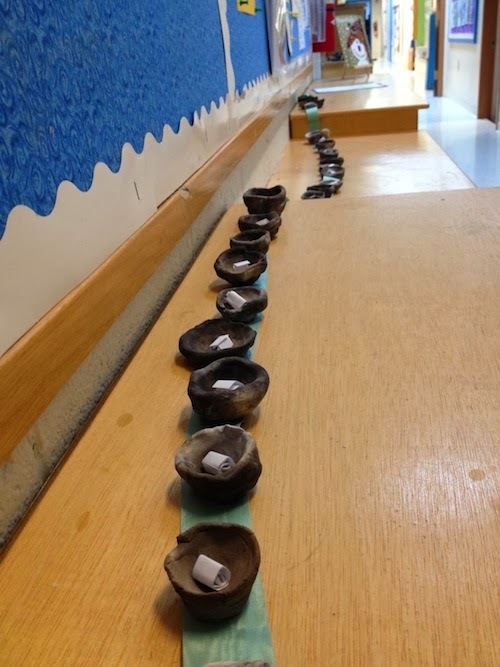 then wrote their answers on the fabric strips- the 'song' of the bird. All of the students' answers were compiled and sewn into the project. When viewing the work, all must look up at the lifted voices of our students! Here two of our River students who participated in the project view and take pride in their contributions and the finished work.